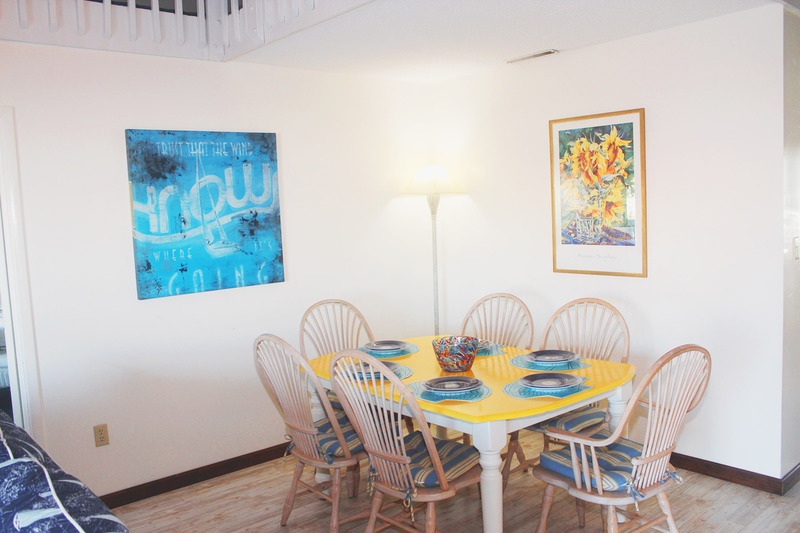 Islamorada, a Beach Bungalow is the quintessential summer house, complete with screen door and outside shower. 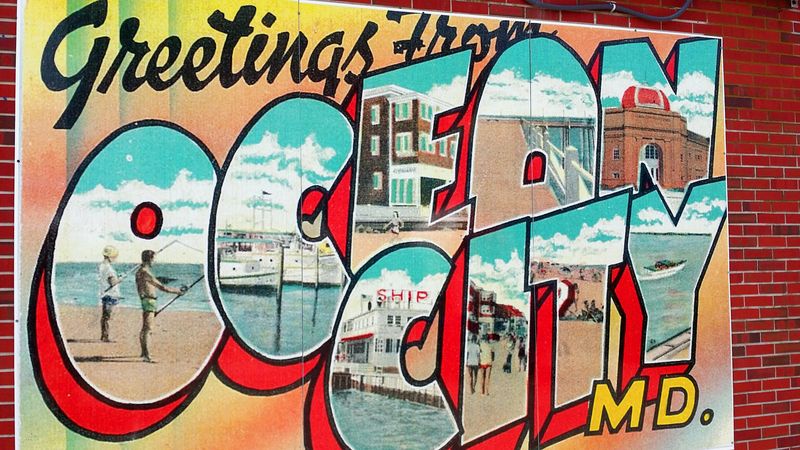 Located in North Ocean City, Maryland, it is on the bayside of Coastal Highway. 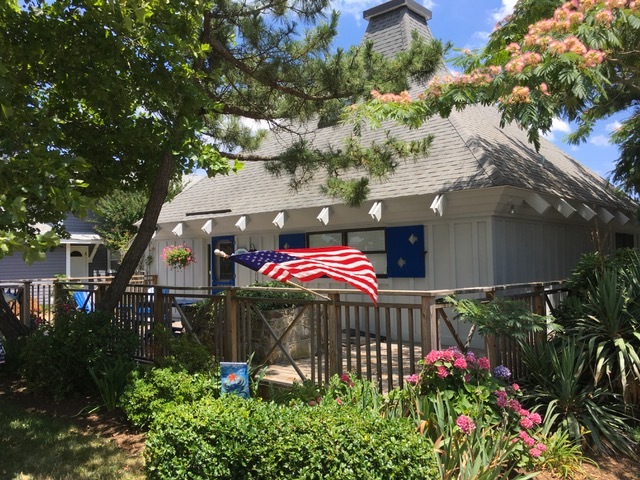 Close to Fenwick Island, Delaware, Bethany Beach and Rehoboth, and not far from the Ocean City Convention Center and Ocean City Boardwalk, this beach rental is ideally situated in a quiet neighborhood. Islamorada sleeps 7 comfortably in 2 bedrooms and 2 pull-out queen sofa beds. The Master Bedroom with walk-in closet and private bath overlooks the back deck and the water. The large vanity sink is outside the bathroom, which means one person can shower in total privacy, while the other gets their makeup on! 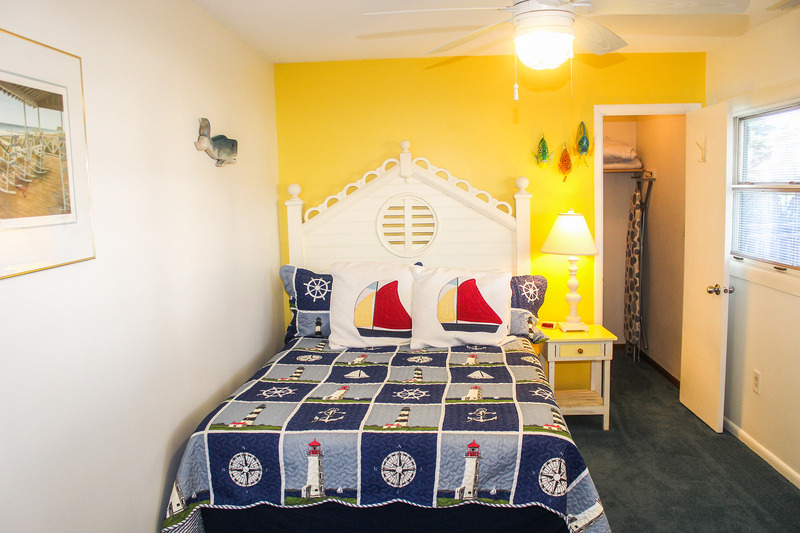 The King size bed is decorated with a vintage ceiling tile headboard and a colorful shell and coral design quilt. 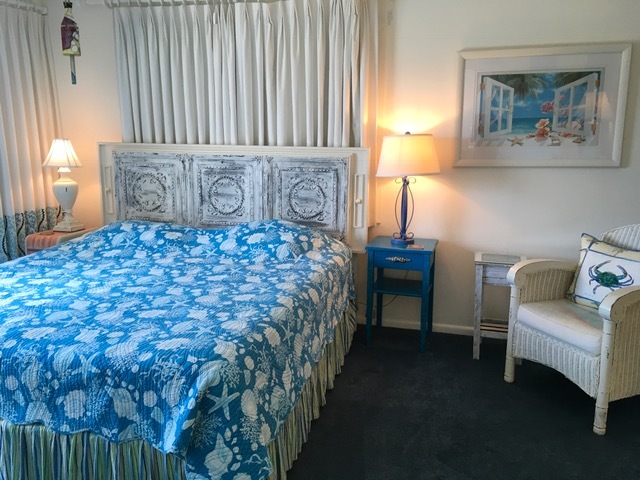 The second bedroom, which we call the Key West Room, is off the entrance foyer and across the foyer from a large bathroom with both shower and bath tub. The Key West Room has a large walk-in closet and a view of the large front deck and the stone planter. 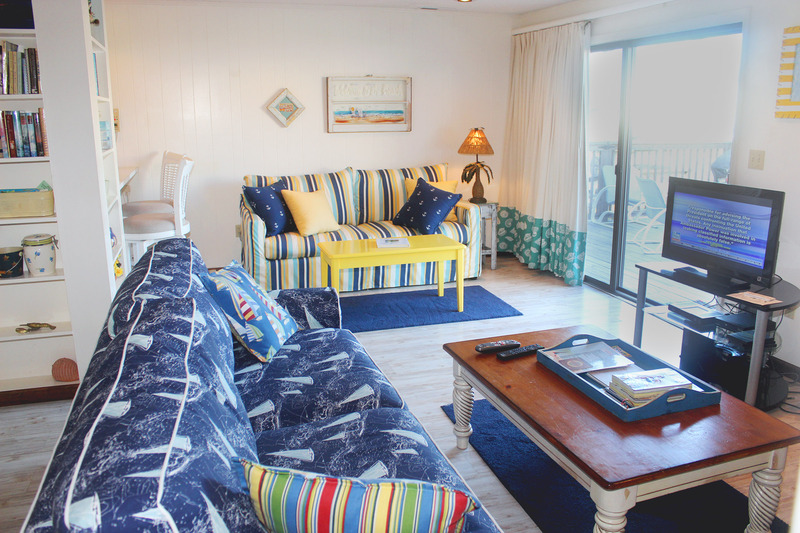 Nautical touches such as the ship’s captain quilt and the tropical fish art and carved wood whale add a touch of whimsy. The large loft is the ideal place for your children to play. Three platform sofas and large pillows are a great place to read a book or lounge with their friends. We have equipped it with games, puzzles, jukebox and pinball machine and a TV with built in VCR so they can play their favorite VHS tapes. Your family will enjoy the large picnic table on the back deck and grilling out on our Weber grill. 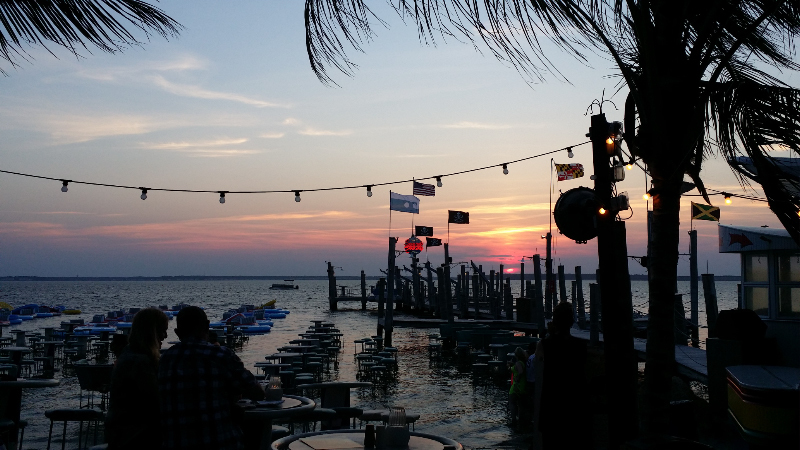 Two Adirondack chairs on the front deck are perfect for watching the sunset over the bay. A small picnic table on the front deck is under the shade of the sea pine and sycamore tree in the front yard. 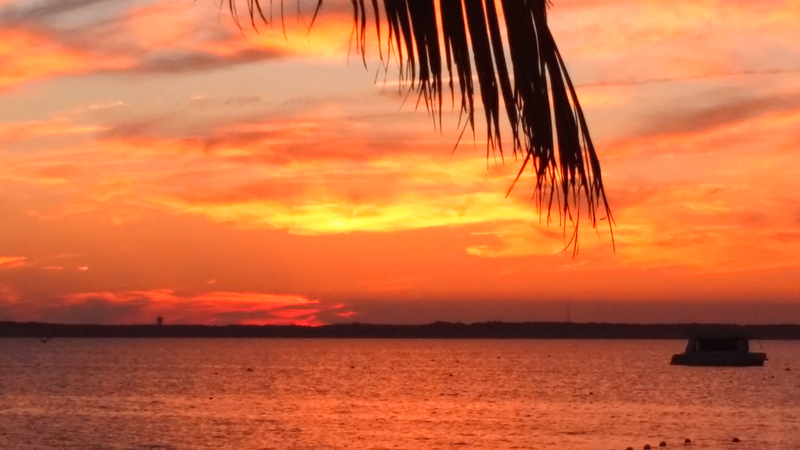 Islamorada is in walking distance of the ocean beach, or if you have a lot to carry, you can take your car and find street parking closer to the beach. For the boating enthusiast, Islamorada backs up to a 50-foot wide canal. Bring your own watercraft and park it out back on our 30 foot dock! If you have your own jet ski, we do have a jet ski lift for putting it in and out of the water. 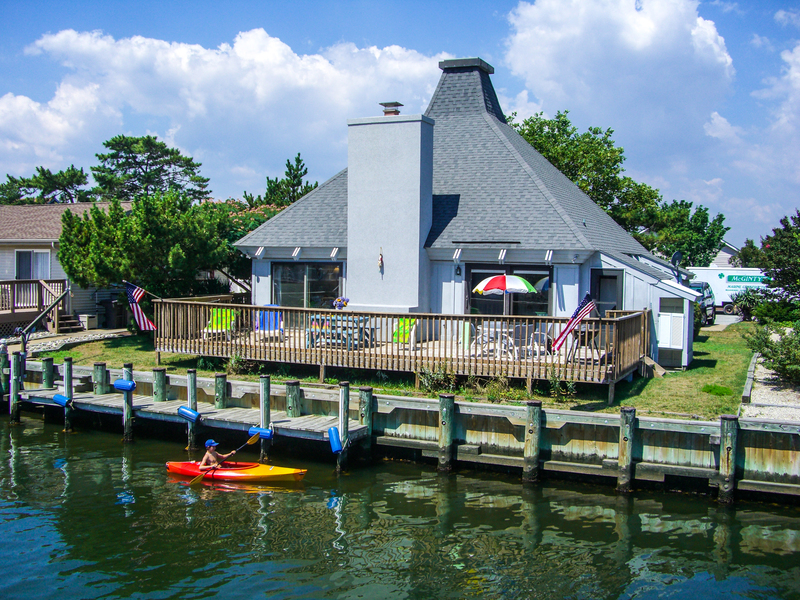 Rent our waterfront bungalow for your next vacation and have the time of your life boating on Assawoman Bay.